September 26, 2013 March 15, 2019 Elizabeth Ashworth20 Comments on Should the remains of Richard III be taken home? Having been drawn into the debate on the reburial of the remains of Richard III by a personal attack on me and my novel, By Loyalty Bound, I thought it might be interesting to take a look at the places where Richard actually did grow up to assess where he should be re-interred if the call to ‘bring him home’ is upheld. 1452: Richard of Gloucester was born on the 2nd October at Fotheringhay Castle in Northamptonshire. His father was Richard Plantagenet, Duke of York, and his mother was Cecily Neville. Fotheringhay seems to have been one of their favourite homes and several of their children were born there. However, nobles at that time lived a nomadic existence and spent time at many of the castles they owned. 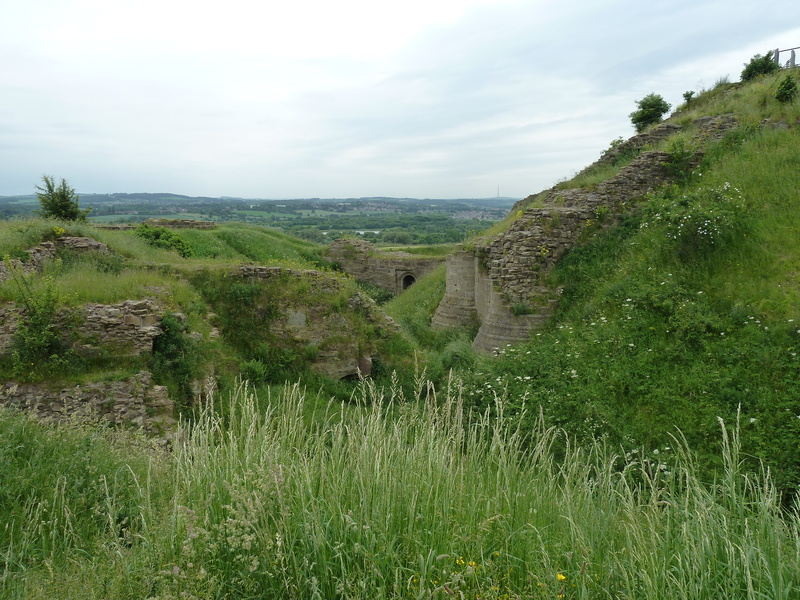 The properties belonging to Richard’s parents included Conisbrough Castle, Sandal Castle, Wigmore Castle, Ludlow Castle and Baynard’s Castle in London. When Richard became king he began to make plans for building work to enhance Sandal Castle. It may have been because he had happy childhood memories of staying there with his parents. 1454: In March, Richard of York was declared heir presumptive to the throne. He would become king when the childless Henry VI died. For the present he was appointed Protector of the Realm, to govern on behalf of the incapable Henry. As Protector, Richard Duke of York may have spent more time in London and it’s probable that his family accompanied him and they may have lived at Baynard’s Castle. But by Christmas of 1454, King Henry had recovered from his illness and the Duke of York resigned his Protectorate. The Duke of Somerset was restored to his former position and given York’s former post of the Captaincy of Calais. The family probably returned to Fotheringhay Castle. A daughter, Ursula, was born there in July 1455. 1455: Henry and a select council of nobles, minus York and Warwick, decided to hold a great council at Leicester. Both York and Warwick, believing this council would question their loyalty, gathered their retinue and marched to stop Henry from reaching Leicester. Their forces met at St. Albans. So began the Wars of the Roses. 1459: Following the Battle of Blore Heath, the Lancastrian army marched towards Ludlow, hoping to capture the Duke of York and his sons. According to Sir Clements Markham: The Duchess of York and her three young children, Margaret, George and Richard, were taken prisoners at Wigmore. They were sent to Tunbridge Castle in the custody of their mother’s sister, the Duchess of Buckingham. The Duchess of York then escaped from Tunbridge and found asylum for her little children at the chambers of John Paston. 1460/61: When Richard Duke of York rode north to defend his kingdom against Margaret of Anjou, the wife of Henry VI, he left his wife and younger children in London at Baynard’s Castle. After his death at the Battle of Wakefield, late in 1460, Richard was sent with his brother George to safety in Burgundy. 1461: The following April Richard and George returned to England for the coronation of their elder brother as King Edward IV. 1465: Richard is recorded as being present at the enthronement celebrations of George Neville as archbishop of York in September 1465. He had recently become a member of the Warwick household and was seated beside Anne Neville. 1465: Richard was created a Knight of the Garter. 1466: In February, Richard’s sword and helmet were placed in St. George’s Chapel, and he took possession of his stall in the following April. Richard was in the household of the Earl of Warwick from around 1465 until around 1469 – four years at the most. In 1465 he would have been aged 13, the same age as his father had been when he married his mother, and would not have been regarded as a child. As a noble lord with many properties, Warwick and his household would also have moved around various castles such as Warwick Castle and Middleham Castle in Yorkshire, and probably spent time in York, London and other major cities. 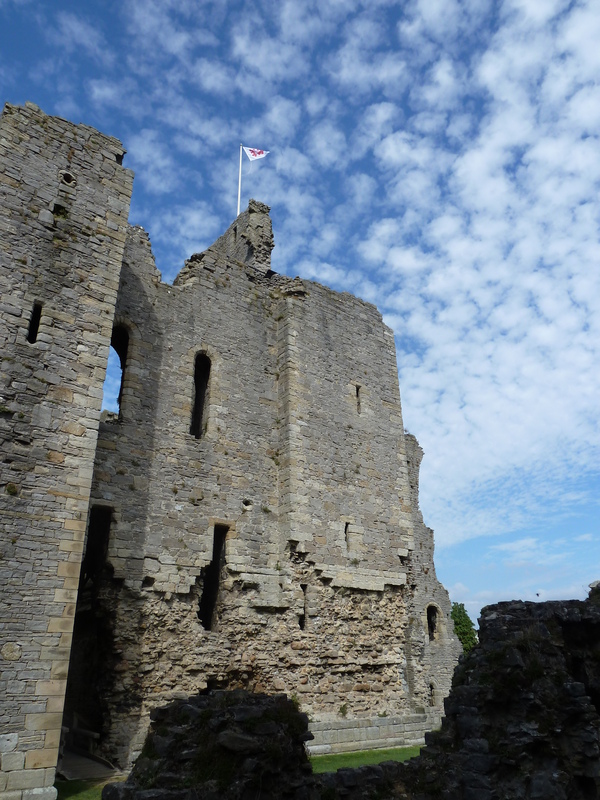 Although Middleham was a place that Richard grew to love and he spent a good proportion of his adult life there as his brother’s ‘Lord in the North’, effectively ruling the region and keeping peace on his behalf, he didn’t grow up there and it can hardly be described as his ‘childhood’ home. If his ‘home’ is anywhere it is at Fotheringhay in Northamptonshire where his parents and brother Edmund are buried. So perhaps if people are keen to see Richard’s remains returned ‘home’ they really ought to be campaigning for a reburial in the church of St Mary and All Saints at Fotheringhay. Leicester Cathedral has actually been beautifully restored and many of its medieval colours and features remain. It is not making money from the corpse and does not show anything but respect for Richard. I was very impressed with Leicester and their plans. The woman who says she went to Leicester and then to York should know that it is actually free to go into Leicester and £10 to go into York. York has made money out of the tombs there for years. It made money from pilgrims for centuries. The guildhall museum was also free and so was the burial site. What money are they making? A small fee will be charged for the new very large museum, which is about £5.00 for adults. There will be reductions and considering the money they are spending this is a small return. The Cathedral is not going to charge anything for visits to be tomb. It is natural that the finding of an important person in our history is going to bring tourists in. Grow up; this is the 21st century. It is not about making money from his bones; it is about providing him with a descent burial and a tomb and also showing a place of interest about his life. What is wrong with Leicster buidling a visitng centre to show case his life, the Franciscan church were he was found, life in his time, tell his story and move his statue to a more central place? Are people in York so gullable that they do not think that York would not also build another museum to him? Are people there so silly that they do not believe that the Minister would put the prices up to view his tomb? York has enough tourism; let Leicester have something to celebrate. Leicester will honour his memory; they have provided a place for him; the service will be one he would have known, a special crown has been made for him; his tomb will be one that honours him; care has been taken to protect and care for his bones; there is already a memorial in Leicester Cathedral, which is actually quite latge and not a small parish church. Work to move pillars and alters is going on to make room for his tomb in the centre: there is actually no room in York; it has too many tombs already as does Westminster; and York does not want him. He has been buried in the Franciscan priory, with whom he had connections for 529 years; he should be moved now to a close by place of honour; and the entire area will be re-designed to create a peaceful place with gardens and so on. York Minister is also in a busy area; so where is the peace and quiet there? I agree with the justice that he will now be placed in Leicester. Fotheringhay Church is a grand place; but if people want him honoured as King then a Cathedral is even better. I would have placed Fotheringhay as a second choice as his parents are here. There was no duty to consult the 15 PA people who are not direct relatives as he did not have any children that lived or had offshring. It is also 100 years since he was buried or more so there was no legal duty to consult anyone and the agreement was that he should be buried in Leicester or he would not have been dug up in the first place. Now is the time to respect Richard III and the choice of his last resting place and for nonsense claims to cease. Richard, by the Grace of God, King of England, France and Wales, Lord of Ireland and Duke of Glocester; last of the Plantagenets; rest in peace and may his soul find eternal solace. Lord, let perpetual light shine upon him. Amen. Thank you for your thoughtful comment. I think it is time for all those interested in Richard III to work together towards the reburial and to rejoice in him having a marked tomb that we can visit. This debate wouldn’t have arisen had it not been for the greed of a bunch of grubby lawyers under the self-style of ‘Plantagenet Alliance’ who recognised a good pay day would be available (snouts in troughs more like !). In fact, York Minster very quickly declared itself unavailable and in full support of the reburial in Leicester Cathedral. Why they have strayed from this is very unclear and in any case, would be very unchristian ! The sad fact is, rather than rejoice in the find and share this solemn, national event, the vile PA actions have reduced the occasion to a gameshow and denigrated Richard’s memory. Sadly, they have no shame, but if they had, they would abandon their ludicrous claim and step away ! Leicester are making excellent preparations for a very wonderful day and long term visitor experience. Which of course, given the close proximity to Fotheringhay and Bosworth, would make the ideal visitor trinity – who would really want to traipse 140 miles up to York ? Let us all hope that decency prevails and the court decision rules in favour of Leicester – the nation’s choice ! Quite simply, Richard was killed in Leicestershire at Bosworth and as a result should be interned in Leicester whether he would have wished it or not. Before Duke of York was he not Gloucester, so should Gloucester have a claim to his remains? Before he was king, Richard was the Duke of Gloucester. He never held the title Duke of York. After his defeat at Bosworth, Henry VII, who was the crowned king, decided Richard should be buried in Leicester. I don’t suppose it is what Richard would have hoped for, but it is what happened, it is history and it would be wrong to change it. OK – so by slitting hairs we could say Richard didn’t “grow up” in Middleham. But he did spend 4 years there and in the other households of Warwick. How much time did he spend growing up in Leicester ? All up I believe that in his whole life he only spent 5 days and 3 nights in Leicester . He came to love Yorkshire and there is documentary evidence he called it home. Do we know for sure that he ever worshiped in the parish church (now cathedral) there. He definitely did in York Minster ? The debate rages for Westminster with Ann, Middleham,,York or a half a dozen other places but one thing I’m fairly sure of and that is King Richard wouldn’t have chosen to be buried in Leicester. I’m truly sorry that you have been attacked personally there is never any excuse for that kind of behaviour. The thing that saddens me the most is the ‘tug of war’ over Richard’s remains. Had history been different he could well have been buried at York, or more probably Westminster Abbey. But history is what it is. He led his army out of Leicester knowing that he might not come back alive and when the battle was not going in his favour he chose to fight on rather than withdraw. So, in those ways his burial at Leicester was a result of the choices he made. I think what would trouble him the most is the bad behaviour that some campaigners have indulged in. As you say, there is no excuse for that. And such behaviour often turns people against the argument they are trying to make – especially when it becomes personal. My desire is for King Richard to be reburied with the dignity and respect that becomes a former king of England – wherever that may be. Perhaps a neutral but fitting place would be Westminster? Sadly, Westminster Abbey is full. There have been no burials there for a long time, except for cremated remains. My understanding is that both Westminster and Windsor have been ruled out. I went to Leicester, with my son during his summer vac from university, to visit the (small) exhibition in the Guildhall. Leicester Cathedral and the entrance to the car park where the body was found. We were slightly uneasy about the amount of promotional activity in which Leicester Council were engaging – it seemed rather disrespectful to making commercial promotion about a corpse. Before our visit, I was in favour of the reburial in Leicester Cathedral but, having seen it, I’m not convinced that it is the most appropriate place. It is basically a medium sized parish church, unsympathetically restored in the nineteenth century. Following the visit, I therefore signed the petition for York Minister, although I can see that it does not have an overwhelming case. Fotheringhay sounds like a good idea – but not very practical. I do hope that all the parties who have an interest in the question of Richard’s eventual resting place accept the Court ruling with good grace and dignity. I think what you say about good grace and dignity is the key to the matter, Alison. It would be a shame if the reburial was tinged with animosity when deep down all that everyone is striving for is a respectful laying to rest of the body of a former king. Excellent summary of the history, Elizabeth. There are two things to think about around this issue. First, we should consider the emotional/historical significance of a potential site, and regarding these, I think it is fair to consider Richard’s own connections to a place as well as the public’s sentiment (although we need to remember how rapidly those opinions change). Second, we cannot lose sight of the fact that any site where his mortal remains are interred is going to be a huge tourist attraction. Therefore, such a site must be easily accessible to large groups of the public without inconveniencing the locals or endangering the visitors (and as such, locating the site at an out-of-the-way ruined castle would not be in anyone’s best interests). Also, the associated profit of having such a site nearby cannot be overlooked. Of course Leicester would want to capitalize on the find of King Richard’s remains; of course York would want to add them to its tourist attractions. All of these considerations require a cool and rather objective mind when looking at the issue. From what I gather on this side of the Atlantic, that is not what’s happening, and this is very sad. Great blog. I’ve been arguing with many on FB that Richard didn’t grow up in Yorkshire, and Middleham was not his childhood home! Yes he may have enjoyed having a home at Middleham as an adult. By all accounts it was a large and comfortable residence..But he also made improvements to his residence at Barnard Castle with its lovely oriel overlooking the river. While in London he often stayed at Baynards Castle and also rented a property called Crosby Place . The facade of which now stands on the Chelsea embankment. As most medieval nobles governing huge estates he moved around between residences to prove he was their good lord. Home for Richard Duke of Gloucester was probably anywhere over which he had governance and not to any particular place. And given that warrior kings – for practical reasons ? – were buried near to where they fell Fotheringhay as the crow flies may well have been viable … but Leicester was nearer. They were often interred by the victors near where they fell, but it was a contemporary tradition to move them to a more suitable place once peace and circumstance allowed. A noble dying would not expect to be left in such a place and I am sure Richard wouldn’t either. In fact Richard himself acted as chief mourner many years after his father and brother’s remains had been buried in Pontefract by the Lancastrians. Their bodies were honoured greatly and moved all the way to Fotheringhay, and interred there. Richard as king also moved the body of Henry VI to St. George’s Chapel at Windsor. He did it for others and would have expected other to do the same for him. As you say, it was contemporary tradition and it should have been Henry VII who made arrangements for a more prestigious resting place. However, 500 years have passed. Thinking has changed and now bodies are reburied as close as possible to their original grave. Excellent and informative post Elizabeth. And looking at actual historical fact as opposed to supposition and assumption. A terrific, well-researched blogpost. What stands out is not the few mentions of Leicester but rather the wide range of places that Richard called home at one time or another. Fotheringhay, beside his father, mother and brother, would be an apt and suitable place for his re-interment if Leicester was not available for some reason. The problem I suspect would be one of infrastructure: Fotheringhay is a tiny, tiny place by all accounts. I agree that Fotheringhay is not a realistic option. I think that Leicester is the best place when all the options are considered. Interesting analysis, Elizabeth. It occurred to me too that Fortheringhay should be considered as his burial place.